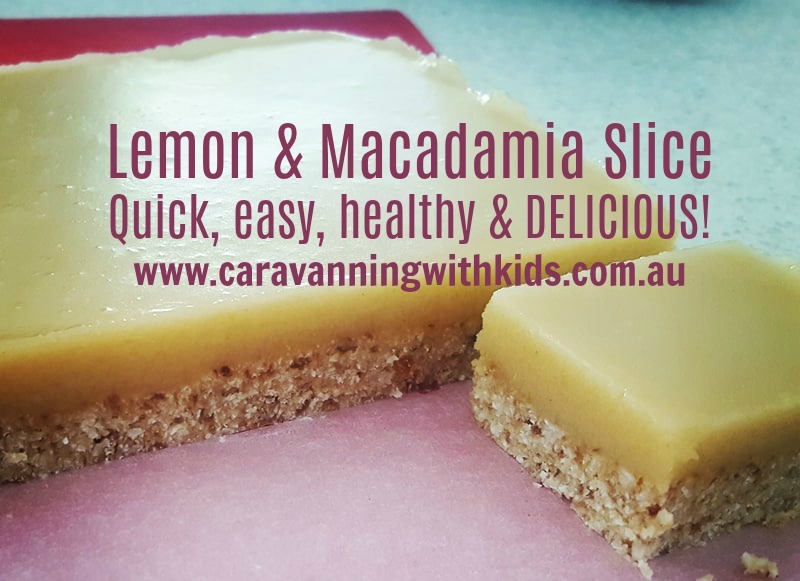 Lemon & Macadamia Slice - Quick, Easy & Healthy! 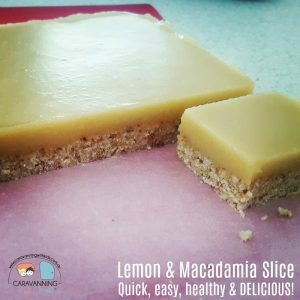 Finding a Lemon Slice that is healthy, has no added sugar, filled with wholefood goodness and is so delicious that everyone LOVES it is an absolute WINNER! Kate (6 yrs) loved making this and was over the moon when she tasted it and gave it huge thumbs up! Many of you know that we are always trying wholefood & healthy recipes in our quest to reduce the amount of sugar in our diets along with my quest to not have to walk sideways into our ensuite! Every little bit helps and finding healthy and nutritious snacks that EVERYONE will enjoy really helps us all. Great for cuppa’s, on the go, in the car and in the lunch box…we have tried plenty, adjusted and tweaked recipes and also found ones that none of us like! Our great mate Leah from Life’s Pantry introduced us to Wholefood Simply when we started to change the way we ate after being blown away by That Sugar Film. It didn’t take long for me to discover that there were so many recipes that I loved, that were perfect for my afternoon cuppa and also a heap of ones that the kids LOVED. Quick, easy ones for the when we are travelling and some others that we have tweaked to suit us. I purchased all of Bianca’s Wholefood Simply recipe books last year and we gave this Lemon Slice a crack today. We NAILED IT! It was so delicious. We cut it into bite sized squares and it was very hard to stop at one! There was no tweaking needed, this one turned out perfectly and will be one that will be made regularly in our home. 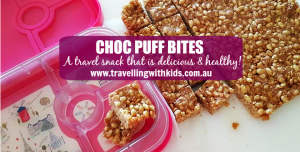 Check out our other favourite travel snack recipes here – including the girls favourite – Choc Healthy LCM bars! They have made a great video clip so your kids can see how easy they are to make.